I’ve seen some of the most beautiful spots in the Caribbean. When traveling to the incredible blue waters and shores of Jamaica, some of the most popular places to enjoy are Cozumel, Grand Cayman and Jamaica. 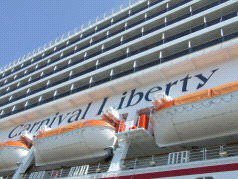 I cruised on the Carnival Liberty ship, enjoying their spacious state rooms and shipside activities, but nothing was more beautiful during the seven-day cruise as visiting the those three top spots. The first port stop was Cozumel. While there, my guest and I stopped by Carlos ‘n Charlie’s Bar and Restaurant. It’s a terrific place to celebrate birthdays, anniversaries and to simply just party. The colorful restaurant and bar has attractive waitresses who give out shots of Tequila then rub the patron’s head and then they rub their hands on the patrons’ chest and, sometimes, they pinch those special two sensitive spots there – even for the women. It is quite a hilarious sight to see! 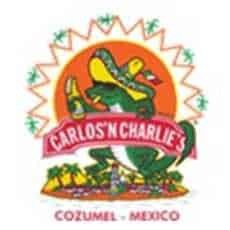 Now that you have a picture of what Carlos’ ‘n Charlie’s is all about, let’s not forget their fabulous food. Let’s start with the Mahi Mahi, so terrifically delicious and melts in your mouth. It’s so moist, tender and delicious. Oysters on the half shell is another excellent dish. Incidentally, they have four ways to prepare them; you choose what you like. The style we tried was the one covered in a special, secret cheese sauce. Cozumel is rich in history. It is a sort of old-world-meets-new-world island, so to speak. One of the outstanding tours available is water snorkeling in the surrounding sparkling blue waters, where 500 species of fish live. Thanks to Manager Gustavo Evan Verdugo of El Dorado, the dive shop and boutique, patrons from all over the world really get a chance to be educated during an enjoyable outing. My guest, Beryl Warren, who doesn’t know how to swim, was guided by Javi Jaime and got a chance to snorkel in deep waters for the first time ever. So, my suggestion for those going to check out Cozumel is this: use El Dorado as your tour company, and don’t worry about your swimming skill level. “I felt so safe because of my guide, and I had a life preserver around my body. I enjoyed myself, and it was unforgettable experience,” said Beryl. Special thanks go to Louis Cordova and Cap Pancho, the other guides on the excursion. For more information, visit www.ElDoradoCozumel.com. 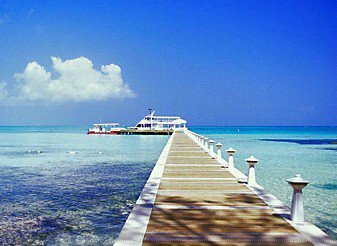 Our next stop was the Grand Cayman Islands. We took a tour there in the Atlantis Submarine, which cost $3 million to build and dives 104 feet down into the coral formations off the shores of the main Grand Cayman Island. (look it up). After the tour, Senior Pilot Jeff Parsens gave each of us the Atlantis Dive Certificate, which is given to everyone who takes the underwater tour. The company offers similar underwater sightseeing in other parts of the world, including Hawaii. Afterwards, we ate at a wonderful restaurant, the Paradise, located right on the beach. Restaurant Manager Songe Beecher was a delight. She suggested that for lunch we try their turtle soup, the Mahi Mahi and crab cakes. Beryl says it was the best crab cakes she’s ever tried. What’s unique about Paradise Restaurant is that kids can use the beach there to swim, or they can just bounce away the day on a huge, ten-foot-wide, rubber inner-tube trampoline. In addition, families can rent fins and gear for snorkeling. Our last port stop was my favorite: Ocho Rios, Jamaica. Here is a country that is culturally rich and lush with greenery, where you can meet beautiful men and women with a cheerful disposition towards life. This is a place where you can partake of authentic jerk chicken. In fact, that’s the only traditional dish I ate while there. It was prepared at one of the locals’ favorite places, Ocho Rios Village Jerk Centre. It was made in the down-home style, grilled without added oils out in the back pit, seasoned with the spicy, robust flavors of Jamaica jerk sauce. The cook only revealed some of the ingredients in the jerk sauce: peppers, pimientos and onions. As we toured sights around Jamaica, I found two to be particularly enlightening – Dolphin Cove and The Ruins. Dolphin Cove is an interactive learning experience. It’s a habitat for dolphins, sharks, stingrays, along with exotic birds, including a variety of parrots. Co-owner Beverly Charlie says her family is planning to open similar attractions elsewhere, such as Hawaii. Dolphin Cove has something for the entire family in addition to the main interest, swimming with dolphins. Whether it’s a day at the beach or getting a bite to eat in the Caribbean-theme food court, or just taking a photo with a pirate at The Treasury Reef gift shops, located right on the beach, Dolphin Cove is entertaining and festive. Other activities there include kayaking, snorkeling, and mini-size boat adventures, which allow visitors to feel the thrill as the captain of their own ship, actually sailing out on the Caribbean Sea. For more information, visit www.DolphinCoveJamaica.com. The Ruins is a tropical paradise venue for weddings, celebrations or dining. It is centered among waterfalls that cascade into the Caribbean Sea. There is a courtyard area and three air-conditioned pavilions that overlook the Falls at Ocho Rios, as well as the orchid deck below, where you can look up at the water flowing from high up and the surrounding tropical green and flowering foliage. Lunch and dinner are served there, and the menu is prepared by the award-winning chef, Sam Sun, who, as they say, “cooks from the heart.” Some of the popular dishes include the homemade soups, freshly baked breads, seafood and Jamaica jerk meats, all seasoned with a touch of Chinese flair. For more information visit the website is www.ruinsjamaica.com. I recommend Dolphin Coves and The Ruins as two great spots from all the places my party was able to tour in the short port of call. 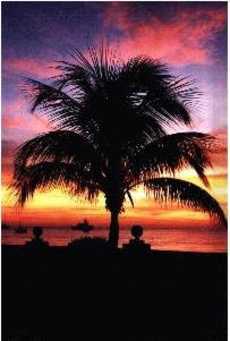 Jamaica has a vast history and there are certainly many places to visit. You might want to check out their turtle park and take a citywide tour.